Blockchain is an innovative tool capable of permanently transforming our societies as well as the relationships between individuals, organizations and states. The technology relies on a chain of “blocks” (digital containers) capable of storing all sorts of information: transactions, contracts, title deeds or even works of art. Security: The decentralized framework and the blocks’ codes guarantee the absolute security of the information. Disintermediation: The concept of “consensus” replaces any of centralized validation. Autonomy: The creation of cryptocurrency covers the costs of the infrastructure involved. Each Blockchain is associated with a cryptocurrency (also called a token). The most well-known is the Bitcoin, a currency invented by Satoshi Nakamoto in 2008. Tokens share the common trait of being a virtual means of exchange, not based in any single state, as opposed to the Dollar or the Euro. They circulate via peer-to-peer networks, based on cryptographic algorithms. They might serve as a payment method between users, but also fulfil a number of other functions. With the number of crypto tokens continually on the rise, digital currencies emerged as a new kind of investment, intrinsically linked with our modern digital economy. Many investment novices are enthused by “quick wins” – while extremely volatile, digital currencies can demonstrate impressive financial performance. For instance, Bitcoin exceeded a rate of 18,000 USD in December 2017, despite being traded at a rate of just over 40000 USD in September 2017! The market capitalization of Bitcoin alone is currently valued at over 127bn USD, with total market capitalization reaching 324bn USD at the time of writing. The cryptocurrency trading’s boom has quickly led to information overwhelm. A casual crypto-investor is flooded with stories, statistics and opinions produced every second across a variety of digital platforms: from major news outlets and independent magazines, through blogs and forums, to social networks and private chats. 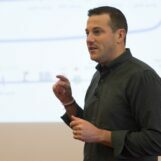 As a result, accessing actionable and reliable sources of information is a strategic challenge, hampering productivity. Besides being a source of stress, relying on poor quality data, fake news or hype can significantly hamper investor’s performance and be detrimental to profit. This new, volatile market is extremely sensitive and prone to overreacting when a news story is published, so being well informed and accessing the right information fast is a key asset to anticipating a market trend. 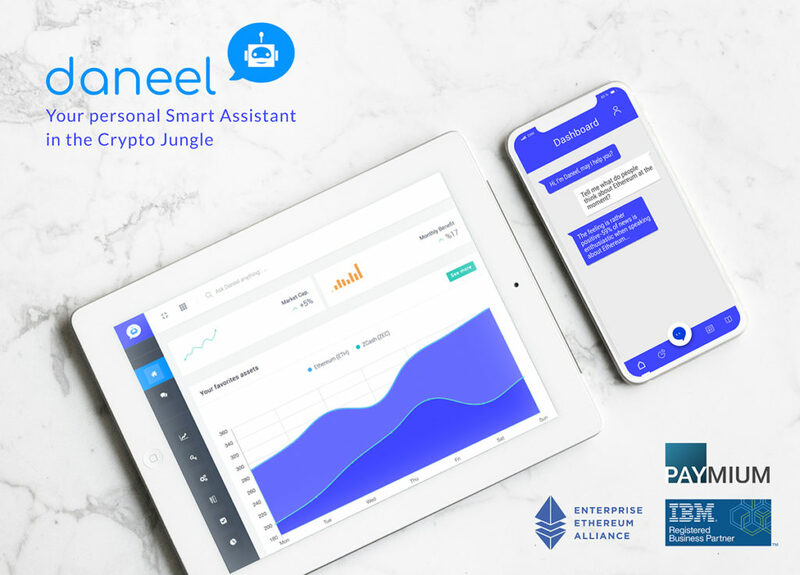 Daneel is a powerful smart daily assistant that helps investors navigate through the crypto jungle. Daneel is a financial smart assistant for crypto investments, which addresses the exact needs of this growing segment of crypto-investors, whether they are beginners, advanced or experts. Daneel helps people who are alone and need assistance with their crypto-investment research, decision-making and portfolio management. 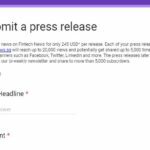 Daneel Assistant provides unchallenged news curation and market emotion analysis through an A.I. assistant, which understands natural language. Daneel offers users daily assistance, alerts, real-time data, all through a conversation AI powered by IBM Watson, one of the most powerful AI on the market. In addition to daily insights, Daneel can provide educational tips to the newcomers, overtime turning a newbie into a seasoned investor. Users will be able to buy their monthly/annual subscription by purchasing the DAN tokens (a dedicated cryptocurrency based on the Ethereum blockchain) available on different exchanges (such as HitBTC, Bancor Network and FUBT.top). Daneel’s current price and volume updates are available from CoinMarketCap, the main cryptocurrency index. Daneel Assistant is currently under development, with a launch scheduled for the last quarter of 2018. Daneel will be usable with GoogleHome (watch the video) and on mobile App. This way, Daneel will meet the needs of a modern user in terms of ergonomics, offering hands-free capability with the vocal controls. To best meet investors’ needs, Daneel has already partnered with many crypto startups in order to enrich the service and they recently announced a new major partnership with the French Coinbase: Paymium which is, as a European leader, the most securised and regulated Bitcoin exchange. Daneel has also joined the Enterprise Ethereum Alliance, the world’s largest open source blockchain initiative. To learn more about Daneel, visit the company’s website and have a chance to become a beta tester and experience the powerful insights and education before it becomes available to the public.